The project setting at VersionEye just got an update. 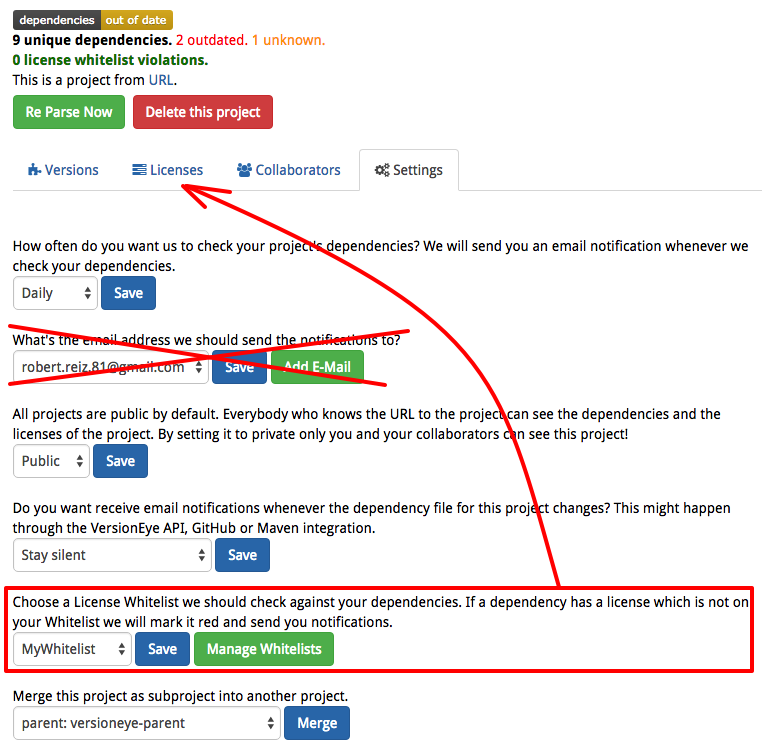 Up to now it was possible to select a secondary email address to which the project notifications should be send. This is removed now! It was a feature which less than 1% of all projects used. If only 0.83% of all projects are using a feature then it’s not worth maintaining the code for that. Beside that the License Whitelist setting is removed from the settings area. Simply because it is already included in the license tab. No reason for redundancy. The collaborators feature got an update as well. Now collaborators of a project can see ALL tabs and they have almost the same rights like the project owner. A collaborator can invite other collaborators. But he can not remove other collaborators from the project. That power has only the project owner and the admin (me). But he can remove himself from the project. 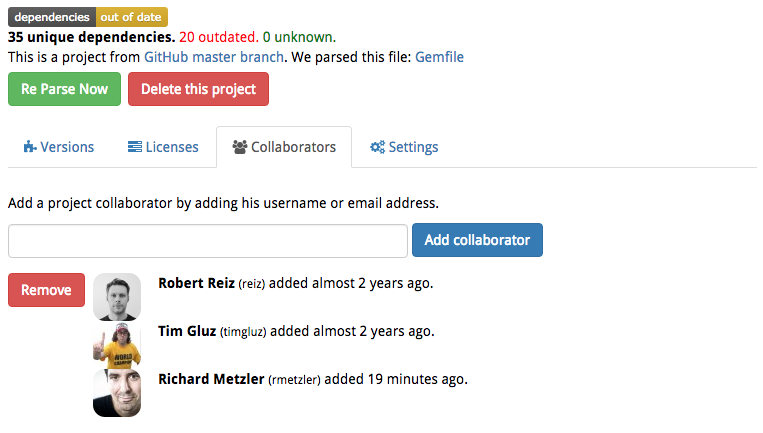 In the settings tab the collaborator only can set the period in which he would like to receive notifications about this project. The other settings are only visible for the project owner and the admin. I’m not sure about this. Maybe all settings should be visible for all collaborators and then just log who changed what. What do you think? I’m looking forward for feedback.